The study will run for three years. 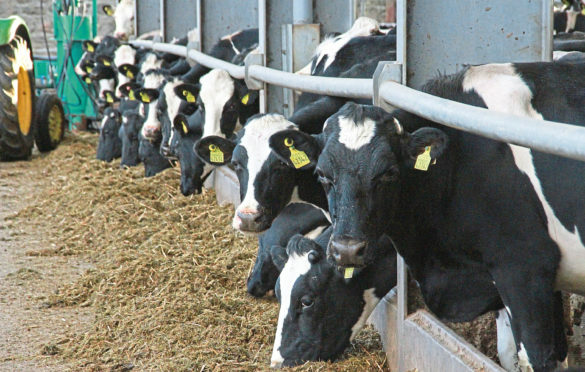 Scottish researchers are leading a £1 million study to find out the causes of lameness in dairy cows. The three-year study will be led by Scotland’s Rural College, SRUC, working with Liverpool University and the Royal Veterinary College in London. Project leader Professor Georgios Banos from SRUC, said lameness affects around a third of UK milking cows, costing the industry around £250m a year. “In addition to pain and discomfort to the animal, lameness is associated with decreased milk production and inflated farm costs,” added Prof Banos. “Among cows raised in the same environment, some become lame while others do not. “Understanding the reasons behind this will help us develop targeted preventive practices contributing to enhanced animal welfare and farm profitability,” he added. The study is funded by the Biotechnology and Biological Sciences Research Council.